With more than 20 years of experience in project management, Kathleen Chau brings a wealth of knowledge and expertise to the Age Wave team. Kathleen has worked in both the for-profit and non-profit worlds and has a proven track record in managing diverse teams, communicating effectively with team members, controlling budgets, and delivering on-time performance. Her strong background in computer science and adult learning is a perfect fit for her responsibilities at Age Wave, which include managing the work flow of our e-learning programs. Prior to joining Age Wave, Kathleen was the Project Manager for the Bill & Melinda Gates Foundation funded program, Turning the Page, an advocacy training curriculum for the American Library Association. She also advised and mentored staff in the management and implementation of a Bill & Melinda Gates Foundation grant for broadband technology in public libraries. 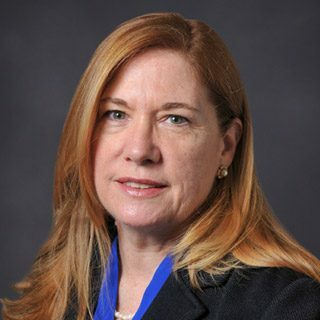 Kathleen also spent more than 13 years working for Motorola, where she was involved in the overall development, sourcing, management, fulfillment, and evaluation of professional development learning for the company. Kathleen received a BS in computer science from Northeastern Illinois University. She and her husband Luis have two adult daughters and live in Danville, CA. Kathleen loves to travel and is an avid knitter and quilter.